To give the students a hands on learning experience in event management, food and beverage service and food production SURYADATTA COLLEGE OF HOSPITALITY MANAGEMENT AND TRAVEL TOURISM organizes theme lunches on a regular basis. These lunches are exclusive sit down meals for guests from the hospitality industry and a few other selected guests. This time the theme chosen by the students was Mexican. Mexican cuisine is one of the popular cuisines in the world and resembles Indian cuisine in many ways. Mexican cuisine is primarily a fusion of indigenous Mesoamerican cooking with European, especially Spanish. The basic staples are native foods such as com,beansand chilli peppers. Europeans introduced a large number of other foods, the most important of which were meats from domesticated animals (beef, pork, chicken, goat and sheep), dairy products (especially cheese) and various herbs and spices. The students ensured that the feel and look of a Mexican Festival (fiesta Mexicana) was replicated in the décor and ambience of the restaurant. Dream catchers, festoons made with colorful doily paper and colorful paper wheels were hung up. Charts giving information about the culture, festivals and places of tourist interest were also displayed. This exercise gave the students knowledge about Mexico as a country with an age old history. The dining tables were covered with colorful handloom rugs. The centerpieces were bottles filled with colored balls topped with small Mexican hats made from paper mache. The male students were dressed in ponchos and Mexican hats and the girls wore pretty skirts with bead necklaces and flowers in their hair. The lunch was attended by professionals from the hospitality industry- the HR Manager Mr Praveen Mane, Training and Quality Manager Mr Sumeet Biswas,and the Asst Front Office Manager Mr Sameer Vyas from Holiday Inn, The Training Manager (Mr Sanjay Kumar) from Westin Hotel and the HR Manager Ms Disha Kharayat with her colleague Mr Shreyas from Novotel. Principals Prof Anita Frantz of Rangoonwala College of Hotel Management and Mr Parvez Ahmed of Ambrosia College of Hotel Management. Mrs Sushma Chordiya, Secretary of Suryadatta Education Foundation and Directors of Suryadatta group of Institutes also attended the lunch. The guests were welcomed by two students playing the guitar and singing Mexican songs. Welcome drinks and snacks were served in the lounge after which the guests moved to the main restaurant. The lunch commenced with a compere introducing the Mexican theme to the guests followed by a lively dance performed by the students. The menu was a three course Mexican lunch. – authentic Mexican dishes like empanadas, tacos and nachos were served with the accompanying dips and sauces – guacamole, salsa and Mexican cream as starters. The main course was ‘grilled chipotle chicken/cottage cheese with refried bean rice. The meal ended with two desserts- Churroz with ice cream and Mexican fruit flan. The guests were entertained throughout the meal by a pair of musicians playing the guitar. 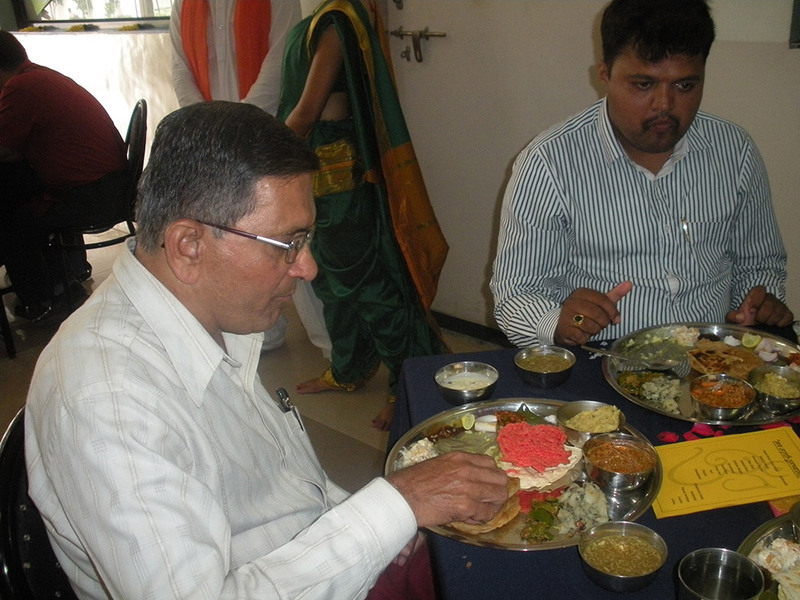 The theme lunch ended with all the guests individually giving a feed back about their experience. All of them were very impressed by the efforts of the students and faculty. They said that the ambience, the entertainment, the attire of the students and the food had transported them to Mexico. They praised the reception team who received them. 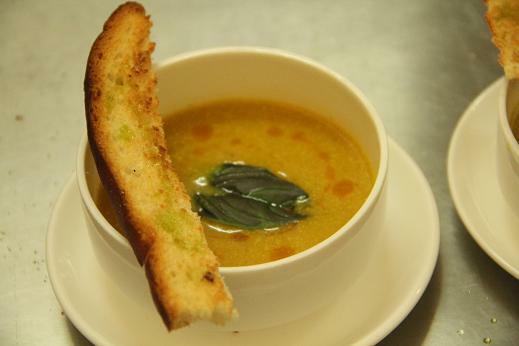 The food and the way it was presented were highly appreciated as was the Service which was professional and precise. It was heartening to know that the guests felt that the training being imparted to the students at SCHMTT would definitely make them into successful hospitality professionals. In its endeavor to train students in all the aspects of hospitality operations this year SCHMTT is organized a Punjabi Food Festival –Punjab da Chaska on Friday 12th December 2014 from 7.00pm to 10.00pm at SCHMTT’s campus at Bavdhan Pune. France is known for the beauty of its language, the complexities and nuances of the French philosophy, French literature, French art, and of course French wine, French cheese, and French cuisine. Shri. Magdum, General Manager, Bank of Maharashtra appreciate student’s efforts & express such efforts should be taken all of giving practical exposure & developing entrepreneurial skills along with confidence among the students. The Competition Success Review’s April 2011 edition ranked SCHMTT 3rd amongst Hospitality Colleges in Western India. The Competition Success Review-GHRDC 2008 ranked SCMIRT’s Hospitality Management & Travel Tourism 18 in the category of top 50 Hotel Management Institutes in India and 7th in the State of Maharashtra. Suryadatta Group of Institutes has been recognized as ‘Best Integrated campus for Higher Education’ in Pune by Brands Academy Delhi. The award was given by Dr Shashi Tharoor, Minister of State for HRD. Ever since its inception in 2004, SCHMTT has strived for an all round development for the students. In addition to their regular academic curriculum our students also actively participate and organize Food Festivals and theme lunches, thus sharpening their skills in Marketing, Event Management and Function Catering. Internships in Hotels in India as well as abroad add to their practical experience of the Industry. This year our students have gone to Singapore and last year they had gone to Germany for their internships. The workshops and seminars organized by the College give the student opportunities to interact with eminent personalities from the Industry and update their knowledge of the Hospitality business. SCHMTT has a 100% placement record and our alumni are working in good positions in star rated hotels in India and abroad. This year the theme was – ‘Arabian Nights’. 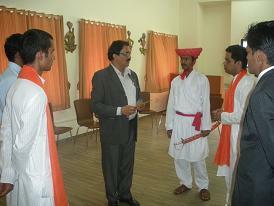 It was held on Saturday 9th March 2013 at the campus in Bavdhan. The décor and ambience transported the guests to the deserts of Arabia. On one side there was ‘Majlis’ seating - with mattresses and cushions and sheer curtains which shone in the light. Contributing to the ambience were lanterns and mock hookahs. As the guests arrived they were served Sharbats in different flavours.. A live Grill counter offered Chicken Shawarma, Sheesh Touk (succulent grilled pieces of chicken ), Hallowni Cheese and Vegetable shaslik. The buffet had a selection of salads and dips( tabouleh , falafel, humus and babaganoush etc;)and the main course had dishes made with bulgur wheat, coucous and chickpeas in addition to the chicken and meat dishes. There was a wide variety of sweets – the baklava and cheese cake and omali were well appreciated. The festival had many sponsors – Venky’s , Food Craft Caterers, Modern dairy, Ace Apparel, Libaas, Rajpal photographers to name a few. 400 guests attended the Festival. Professionals from the Industry – Mr. Sanjay Kumar – Training manager Westin Hotel, Mr Sandeep Pusdekar- Hospitality Consultant, Ms Ayesha Barse – HR Manager of Marriott City Centre, Ms Meenakshi from President Hotel graced the occasion. 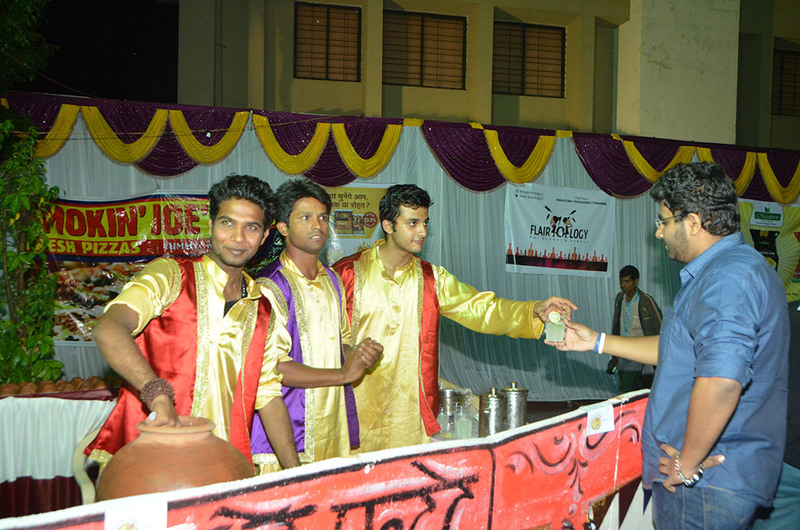 Representatives of newspapers and faculty from other Hotel Management Colleges also attended the Festival. The aim of the food festival was to train the students in the art of Sales and Marketing in addition to the practical operational skills. By presenting Arabian cuisine in an Arabian Nights setting the festival also aimed at introducing the guests to the culture and cuisine of this region . 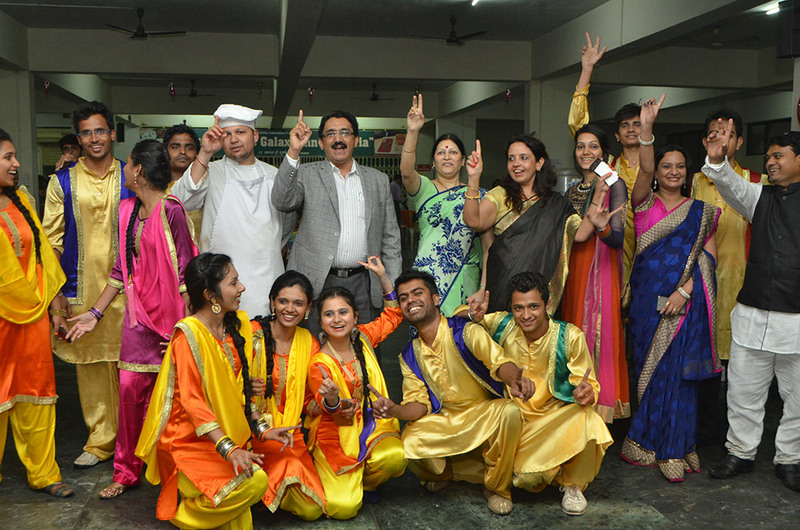 The guests thoroughly enjoyed themselves and greatly appreciated the efforts of the students and Faculty.